Meraas, a diversified Dubai-based holding company, has signed a 10-year agreement with The Coca-Cola Company for the exclusive naming rights for the city’s first and biggest indoor, multipurpose arena. Upon completion, the 17,000-capacity arena will be known as the Coca-Cola Arena, said a statement from Meraas. Located at Meraas’ popular urban retail and residential destination City Walk in Dubai, the hitech arena will be opening in June and is poised to become the heartbeat of the entertainment landscape in the region, it added. On the strategic deal, Meraas Group Chairman Abdulla Al Habbai said: "We are proud to have a renowned company such as Coca-Cola taking on the naming rights for the arena in the long-term. It is a testament to the unrivalled positioning of Dubai as a global tourism, leisure and entertainment hub." "This agreement with The Coca-Cola Company is also a clear demonstration that Meraas’ continued efforts to transform the urban landscape of Dubai and move with the emirate into the future as a modern, creative, culturally and economically diverse place to live, work and play are coming to fruition," stated Al Habbai. "Given all the strong fundamentals now in place, the Coca-Cola Arena will undoubtedly attract world-class acts and performers from around the world to its stunning stage," he added. Coca-Cola (Mena) GM and Deputy President Murat Ozgel said: "We are proud to be a part of this highly anticipated entertainment destination which demonstrates our commitment to the region." "The Cola-Cola Arena will build on Dubai’s thriving entertainment industry, positively contributing to the city’s ambitions to become a world-leading metropolis. The arena will create another iconic landmark in the city attracting visitors from across the world," noted Ozgel. "In line with Dubai’s vision to create a smart and sustainable city, we are committed to making the Coca-Cola Arena a sustainable venue in line with our 2030 Environmental Goals," he added. 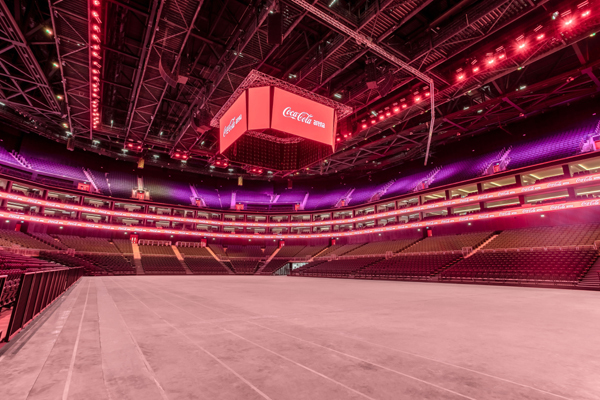 Guy Ngata, the AEG Ogden’s CEO of the Coca-Cola Arena, said: "We are proud to partner with Meraas and Coca-Cola as we launch the UAE’s first world-class, multipurpose indoor arena. We look forward to working closely together over the next 10 years." "This naming rights agreement is hugely beneficial for Dubai and Coca-Cola, which are both internationally recognised brands in their own rights. We are excited to grow our partnership over the next decade and further establish Dubai as a major destination for world music tours, sporting competitions, family show and corporate events," he noted.